Every year activists converge on Ground Zero of the biggest crime in modern human history to demand a genuine investigation and accountability for government failures. This year, 9/11 activists are more organized than ever for this anniversary of 9/11. One group, GroundZero911.com, is planning guest speakers, concerts, street actions, silent vigils, and other activities. These “truthers” have been ridiculed in the past by the establishment as if truth is somehow a bad thing in a world full of deceit. But now, to a growing majority of the world’s population, the U.S. government’s official version of the September 11th attacks does not hold water scientifically, rhetorically, or sensibly. There are many theories as to what actually took place on 9/11, the government’s version just being one of them. And as more people find themselves distrustful of the government due to revelations of other lies, more people begin to question the government’s account of the attacks that launched the U.S. into wars of aggression and dramatic losses of liberty at home. Just acknowledging that we were lied to about 9/11 is paradigm changing. The fact is that if you do your own independent research, you’ll find that evidence is not on the government’s side. Once the lie is realized and the post-9/11 actions scrutinized, a much more cynical view of U.S. government and its corporate war machine comes rushing into your consciousness — never to be expelled. This is why so many who inherently know something is wrong with the story are afraid to look any closer. Once you know the truth, or at least acknowledge the lies, there’s no going back to blissful ignorance. Translation: each new “truther” is dangerous to the status quo because they oppose foreign wars, the war on terror, and they defend civil liberties. They stand for peace, liberty, justice, transparency and human rights, yet the establishment portrays them as the bad guys. As such, 9/11 truth outreach is the spearhead for the peaceful revolution of ideas. This movement was started by the victims’ family members who had questions. Their loved ones were murdered and they’ve never been given answers. It’s time to demand those answers, to unite together to demand justice. Let’s make history this September 11th by coming together in New York City in hopes of the justice we’ve all been fighting for. Even if a new investigation or justice is unlikely, these events serve a vital function in educating others who may finally be ready to start asking questions. 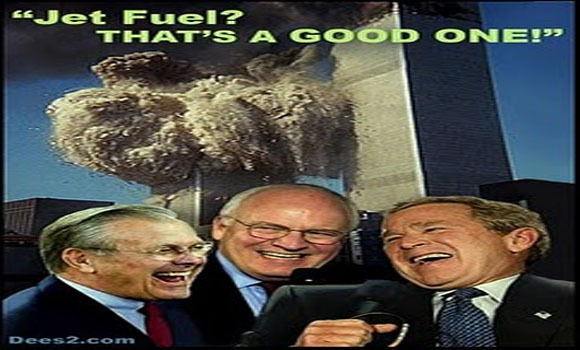 The only way 9/11 will be dealth with appropriately is by replacing the criminal government element who are afraid they will be exposed by a proper investigation.